Q: Can Curcumin help my cardiovascular system? Curcumin has been shown to control the (NF)-kappa B immune response, which contributes to the inflammation of the artery walls, which in turn causes the cholesterol plaque to form. 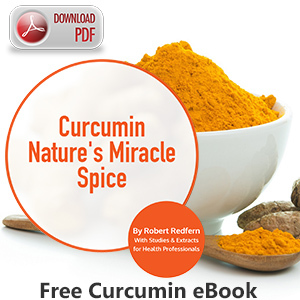 Taking Curcumin regularly may protect the arteries. Q: I have gallstones, will Curcumin help? Curcumin increases the flow of bile from the liver and may help to prevent gallstones. If you already have gallstones however, there is a potential risk of flushing them into the bile duct and blocking it. Check with your doctor before taking Curcumin. Q: Is Curcumin the same thing as turmeric? No, Curcumin is extracted from turmeric, but it is only 4% by weight. The rest of the turmeric is just the flavour. Q: How do I choose the right brand? You need to choose the highest strength you can find, a minimum of 95% purity. Even then it needs to have Meriva® added to it to help it absorb. Most people tolerate even very high doses. Occasionally people find it loosens the bowels, but this is usually overcome by taking them with food. There are certainly no harmful side effects. Q: Why do I need such a strong formula? Curcumin is a powerful supplement, but unfortunately it is not well absorbed by the body, so it pays to use the high strength. The Meriva® supplementation increases the absorbency by more than 100%. Q: I have multiple sclerosis and have heard Curcumin can help. What does it do? MS is caused by toxins attacking the myelin sheath that covers the nerves. Scar tissue forms over the damage and interferes with the signal. Serrapeptase can help to remove the scar tissue and Curcumin stimulates a powerful antioxidant called glutathione, which help to protect the site whilst the healthy tissue is replenished. Research is in the early stages, but studies show that it may help prevent plaque in the brain that leads to Parkinson’s. Researchers at the Johns Hopkins University School of Medicine have shown in a laboratory model of Parkinson’s disease that Curcumin does protect cells from dying. “These results suggest that Curcumin is a potential candidate for inhibiting the oxidative damage that leads to Parkinson’s disease,” says Wanli Smith, Ph.D., an assistant professor of psychiatry and behavioral sciences at Hopkins.